June is a month which can bring a whole range of benefits, one of the main ones being the arrival of summer! But did you know that June also marks the occasion of Great Outdoors Month? Great Outdoors Month is an annual event set up with the intention of giving people the excuse to get out and about, exploring the countryside and having fun. The great outdoors is ideal for physical health and mental relaxation – but have you ever considered the benefits it can bring to your team building events? Great Outdoors Month is all about encouraging as many people as possible to step away from their computer screens and electronic gadgets and instead, head outside to get some exercise and fresh air, enjoying the natural beauty of the world around them. It has been proven that regular exercise can bring much-improved results - not only when it comes to getting fit or staying in shape, but also with your rate of productivity at work. And, after all, what better place to get some exercise than in the great outdoors? We already know the main benefits that team building events can add to your business. Boosting team morale, developing workplace relationships and motivating the entire team are all well-known advantages of team building exercises. 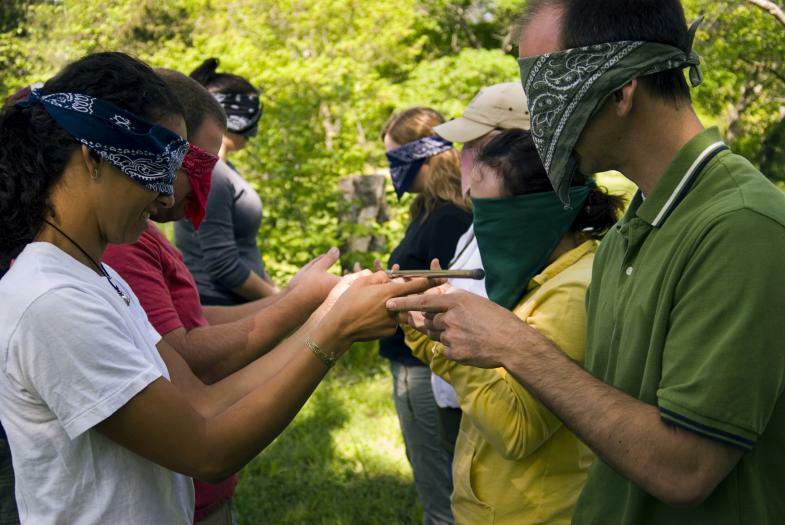 However, heading outdoors can take your team building to a whole new level. Here at Team Challenge Company, we offer an extensive range of different team building events and activities perfect for meeting the individual requirements of every team. We recognise that every workplace, every team and every person is unique, which is why each of our team building options is fully customisable, allowing you to easily personalise your chosen event to suit your needs. When it comes to outdoor team building, there are plenty of events that are perfect for you and your team. From tech-based team building activities like our interactive treasure hunt right through to traditional school sports day fun and games, the choices are endless. After all, on a sunny summer day, what could be better than escaping the confines of the office’s stuffy heat and heading off for an enjoyable day of fun spent with your colleagues? For more information about the wide range of outdoor team building events that we can offer you, please give a member of our team a call today on 03300 040903.